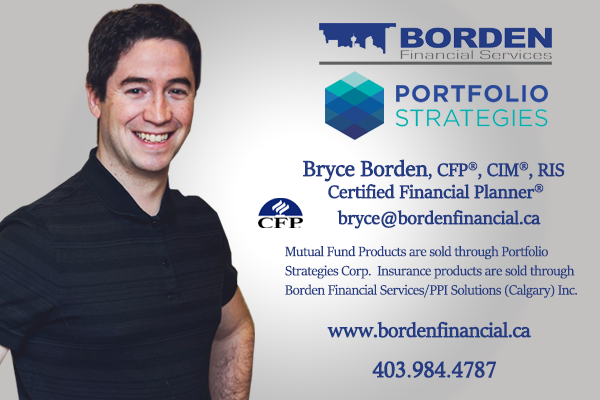 You have received this email as a service from Borden Financial Services to keep you informed about important issues and strategies that affect your long-term financial success. We had a wonderful Spring Break here in Calgary and had a lot of family time with the girls. We did a number of activities right here in Calgary including a fun day downtown. We met up with some friends and family and got in a few meals at local restaurants. On top of that, the weather was nice so we spent a lot of time outside. Vienna, Berlin & London had a great time! The booklet he received a few weeks later contained lots of useful information. There was a Glossary of Legal Terms that helped Earl understand the language of Wills and estates. Commissions, trailing commissions, management fees and expenses all may be associated with mutual fund investments. Mutual funds are not guaranteed, their values change frequently and past performance may not be repeated. Please read the prospectus of the mutual funds in which you invest. The information in this email newsletter is general information only and is not intended to constitute specific legal, accounting, financial or tax advice for any individual. This message was intended for %%emailaddress%%.